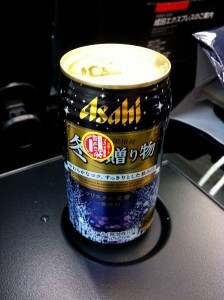 Video Review: Asahi Winter Beer | Oyatsu Break! Something of a change of pace, I decided I’d try to do a video review for the site. This one was from my trip home, sitting on the Narita Express from Tokyo to Narita Airport, and I’m reviewing Asahi Winter Beer, a limited, seasonal brew released in the last few days of my trip. I think this is a valiant first effort at a proper video review, but unless you find me terribly charming it’s about 3 minutes too long. Still, I hope you enjoy it. Packaging: Really lovely, actually. 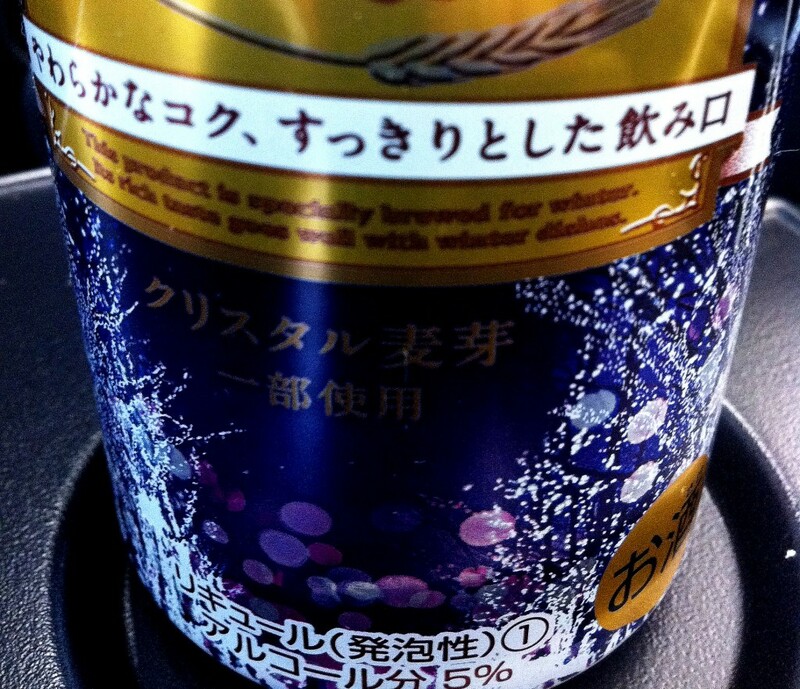 Big kanji title with no English on it except for “This product is specially brewed for winter. The rich taste goes well with winter dishes.” Which is awesome. The purple, pink, blue, and green translucent circles imply blinking christmas lights reflected through a misty sky, it’s really nice, and the gold logo pops nicely off of the rich blue background. Really pretty. Scent: It smells like standard Japanese major-brewery beer, nothing special. Taste: Even warm, this beer basically lacks much flavour. It’s notable for being sweeter than normal winter beer, but lacks any additional spiciness or savoury elements that would make it unique, or in the style of a western craft/seasonal beer. I drank it about 30 minutes out of the fridge rather than right away, and like most low-quality beers it absolutely would taste better very cold. Verdict: A nice change of pace from regular Asahi, but no one will be clamouring for this year round. Still, nice to see a major brewery releasing something other than the tried and true for a seasonal beer.